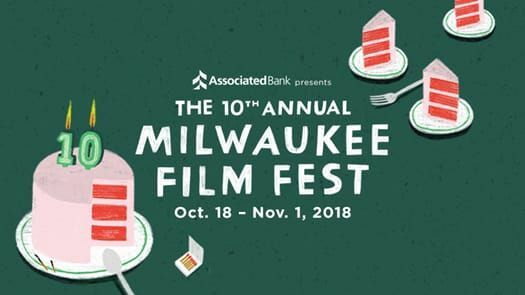 MILWAUKEE – September 26, 2018 – Associated Bank is excited to once again partner with Milwaukee Film and join in their celebration as the presenting sponsor of the 10th Annual Milwaukee Film Festival. As a partner since 2015, Associated Bank is committed to deepening its relationship with Milwaukee Film through new partnerships and continuing to offer community members a way to give back. To demonstrate this commitment, Associated Bank is partnering with Stone Creek Coffee to support the Milwaukee Film Festival with a ticket voucher giveaway. The first 10 people who come into participating Stone Creek coffee locations each day in Metro Milwaukee between September 27-28 and October 1-3 can pick up two complimentary ticket vouchers to the upcoming Milwaukee Film Festival. In addition, on September 27 and October 4, the first 75 people at each 414 Live show at 88Nine Radio Milwaukee’s studio will receive two complimentary ticket vouchers to the festival. For more information visit Associated Bank’s Facebook page. New this year, Associated also announces a partnership with 88Nine Radio Milwaukee to sponsor Cinebuds, a podcast collaboration with Milwaukee Film. Every Wednesday on the podcast, Justin Barney from 88Nine and Milwaukee Film’s Kristopher Pollard discuss upcoming new releases, local filmmakers, historical theaters and more. Milwaukee Film recently acquired the Oriental Theatre and has begun a number of renovations to restore and enhance this historic landmark. With this acquisition, Associated Bank will have an on-going presence within the theatre year-round. With Milwaukee Film Checking through Associated Bank, movie fans can give back to the nonprofit Milwaukee Film. Five cents from every transaction made with a Milwaukee Film debit card is donated back to the organization. Cardholders also enjoy additional benefits including Milwaukee Film-themed checks and debit card, discounts on a single or dual Milwaukee Film “Festival Fan” annual membership and two complimentary film festival vouchers. For more information, visit www.AssociatedBank.com/MKEFilm. Milwaukee Film is a nonprofit arts organization dedicated to entertaining, educating, and engaging our community through cinematic experiences, with a vision to make Milwaukee a center for film culture. The organization is one of the largest of its kind in the country, with over 4,000 members and 84,000 festival attendees. Milwaukee Film recently launched the Milwaukee Filmmaker Alliance, an industry pillar with over 350 members dedicated to stimulating and growing the filmmaking economy in southeastern Wisconsin. In addition, Milwaukee Film operates the magnificent Oriental Theatre, a historic three-screen cinema committed to high-quality and accessible film and education programming. The 10th Annual Milwaukee Film Festival will take place from October 18 - November 1, 2018. For more information, or to become a member, visit us online at mkefilm.org. Five cents from every transaction (less returns) made with a Milwaukee Film Debit Card will be given back to the Milwaukee Film Festival, up to $25,000 annually. Memberships are valid for 12 months. Dual memberships are available only to members that reside at the same address. Discount is available for new membership or at time of renewal. Show your Milwaukee Film debit card or checks when making a purchase or call 414-755-1965 x204 for more information. All benefits are subject to change. See mkefilm.org for membership information. To receive the Milwaukee Film Festival ticket vouchers customer must be over the age of 18 with a retail checking account in open and in good standing tied to a Milwaukee Film Debit Mastercard®. To be eligible for the ticket vouchers, account must be open a minimum of 12 weeks prior to the current year’s Milwaukee Film Festival. Tickets will not be mailed to international addresses. Associated Bank employees are not eligible for ticket vouchers. Benefit may be changed at Associated Bank or Milwaukee Film’s discretion at any time. Each voucher must be redeemed for a regularly-priced ticket at any festival box office no less than one hour prior to the desired film's scheduled showtime. Exclusions may apply. Please see banker for details. All trademarks, service marks and trade names referenced in this material are official trademarks and the property of their respective owners. Member FDIC.